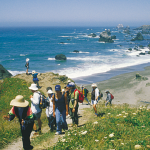 The Conservancy’s Explore the Coast Grant program encourages all Californians to explore and experience our spectacular coast. The current grant announcement is posted here and applications are due April 8, 2019. There is no minimum grant size but the maximum grant award is $50,000. If funding is available, the Conservancy will offer these grants every year. Since 2013, the Conservancy has awarded over $5 million in 176 separate grants (updated Fall 2018). 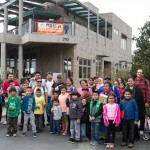 Provides a coastal experience for people that may face challenges getting to or enjoying the coast (such as lower-income people, people with disabilities, English as a Second Language (ESL) communities, students from Title 1 schools or others). 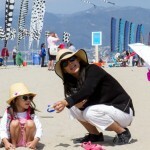 Creates opportunities for people to visit the coast for the first time. 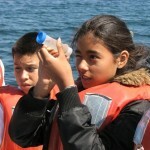 Provides a valuable recreational, environmental, cultural, or historic learning experience. Increases stewardship of coastal resources. 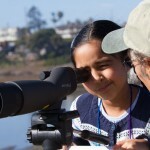 The Explore the Coast Grant Program benefits from the guidance of an Advisory Board, which represents the interests and needs of communities served by this grant program. The Advisory Board counsels Conservancy staff on the application process, review of applications, and ongoing delivery of the Explore the Coast grant program. To learn more about the Advisory Board and its current members, click here. 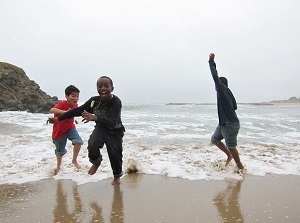 Funding for Explore the Coast grants comes from the Environmental License Plate Fund from Coastal Access Account. We recommend potential applicants review this linked sample grant terms document when considering applying for Explore the Coast Grants. 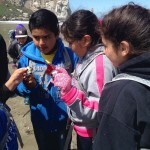 Programs that teach Californian’s to value the state’s coastal resources or programs that combine education with beach maintenance and habitat restoration projects should also consider applying for a Coastal Commission Whale Tail Grants.